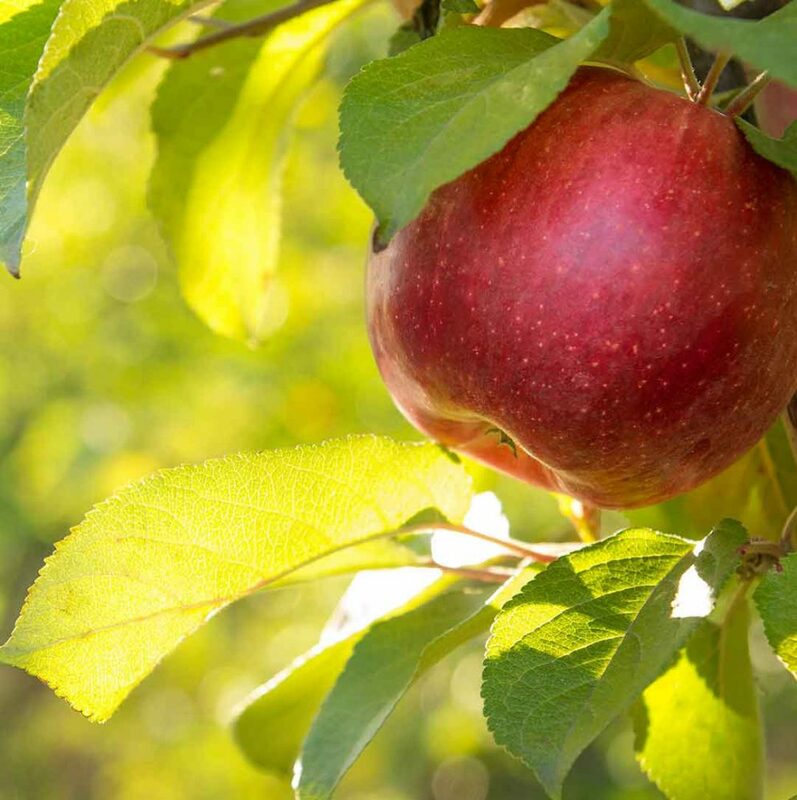 Home » Root Matters » Proper planting of your fruit and nut trees…there is WAY more to the hole than you think. Before you plant a tree, you should really know and understand the type of soil you are working with. I still remember my old soil science professor (he wasn’t old, the class was a long time ago) first putting up on the board the words ‘sand’, ‘silt’, and ‘clay’…..all soil is, for the most part, made up of these three components; that is until the life giving component of organic matter factors into the equation. Our job as caretakers of the green space that surrounds us is to maximize the fertility of the soil, that which makes it all possible. We can do this by using the correct organic matter when we plant, correct as defined by how much sand, silt or clay you will encounter after you inspect a sample of soil you dig from your yard. I have a question for you – and it’s not a trick question – Do you remember learning about photosynthesis in your junior high science class? That wonderful process where any green plant with some water and a little bit of sunlight consumes all the carbon dioxide in the world, fresh air then becomes ours to have in abundance. Photosynthesis is also where that delicious sugary goodness we enjoy at harvest comes from, so something to truly appreciate whenever we plant a tree. Note that water is part of photosynthesis, so getting our plants the right amount of water is important; too little water and they struggle to grow and stay alive, too much water and the roots can rot. Of course, none of us perfectly hits the mark all the time with water (we can’t control the rain), but with organic matter mixed into the soil, we have lots of wiggle room (or should I say margin of error) if we make an irrigation misstep. How do we make sure our plants get the right amount of water? I mentioned taking care to dig the right sized hole as well as adding the right organic matter, because these steps put just the right amount of water right where the roots truly need it. Digging the best hole possible is REALLY important, almost critical to any plant’s success. Isn’t digging a hole just removing soil from the ground to create empty space to put your new tree? Yes, but how big a hole to dig and what organic matter to use is what makes it worthwhile to give this step time and attention. If your native soil is clayish or hard, use a coarse organic matter to mix into the soil you take out of the hole at a ratio of about 50/50. If your soil is on the sandy side, do the same with a blended planting mix or peat moss at the same rate. 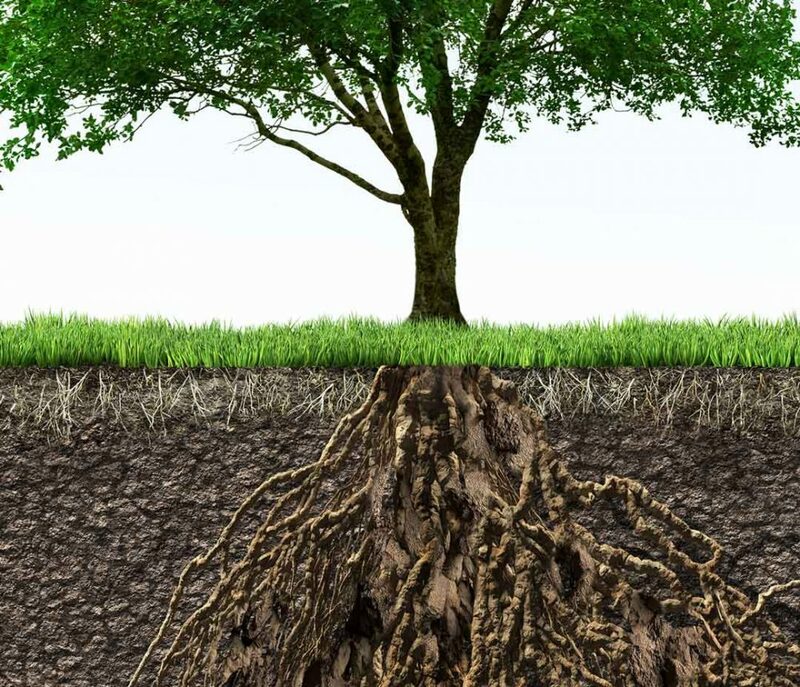 With a hard, clay soil, your goal with the coarse organic matter is to create a softer backfill that allows easier root movement and greater amounts of oxygen right around your new tree’s root ball, as well as allowing greater water movement throughout the rootzone. For those folks who are growing on top of sandy soil that drains TOO fast, the added organic matter is chosen (peat moss) to slow down drainage so your soil holds SOME water for the plant to use. Pick the correct organic matter and you maximize the availability of oxygen AND moisture, as well as encouraging the roots to venture out from the root ball into your native soil. Easy, right? One more thing, hole size. Before you get tempted to dig a big, huge hole, don’t. And if you’re thinking why not, here’s your answer. 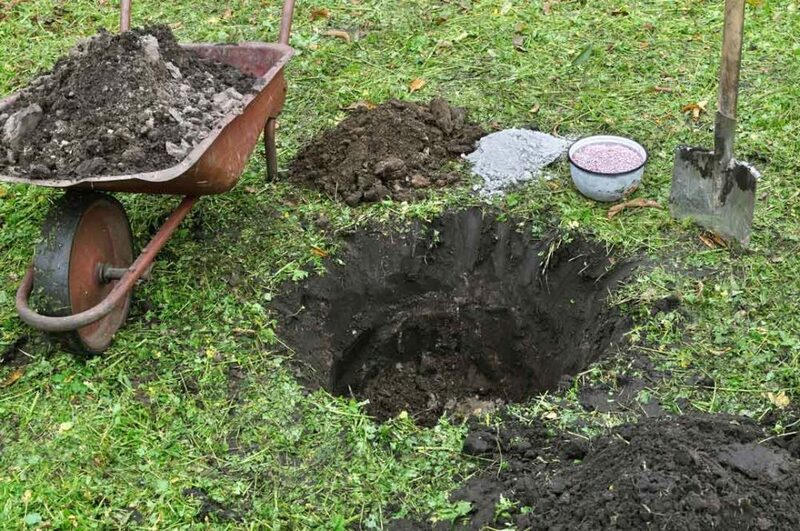 If you dig a swimming pool sized hole for your tree thinking “let me just pour in some high dollar ready-to-use-right-out-of-the-bag planting mix to save me the work”, the tree will like that so very, very much that the roots will be tempted to go no further than the hole you dig. Your tree will grow, but in time it could get rootbound with growth and production may suffer. Your job is to create a transition soil, one that is better than your native soil, but one that is not so perfect that the roots will be too afraid to venture past your work (hole with the blended soil) and into the ground you call home. We want no separation anxiety for the roots. We want them to spread their ‘wings’ and leave the nest, spreading out from the newly planted root ball, going easily in all directions. A deep and extensive root system allows your tree to grow and thrive and give you lots of fruit and shade for years to come. Next post, artificial holes…. (containers). Joking again….